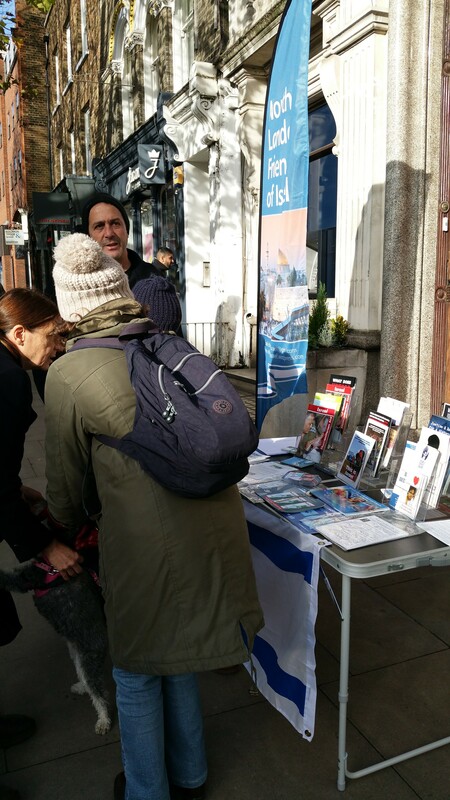 We continued with our series of street stalls around North London on Sunday (19th November). This time it was the turn of Hampstead. A bright, busy morning meant we gave out hundreds of leaflets, had interesting and overwhelmingly positive conversations with passers-by, and attracted a lot of interest in the literature on the stall. We also made a number of new contacts for our mailing list. Well done to all who took part, and to the members of the public who showed their interest in what we were doing. Saturday 4th November. 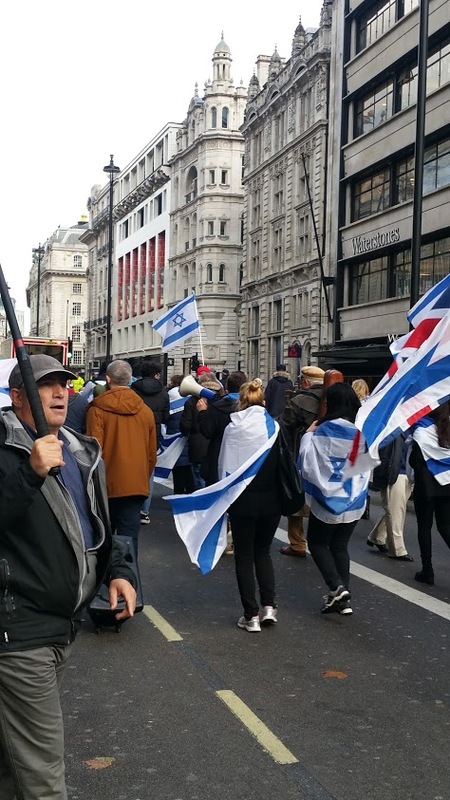 There was a big demonstration in Central London today to protest against the Balfour Declaration (a little late, one might think) and to demand an apology from the British government. However, the Israel-haters didn’t have it all their own way. 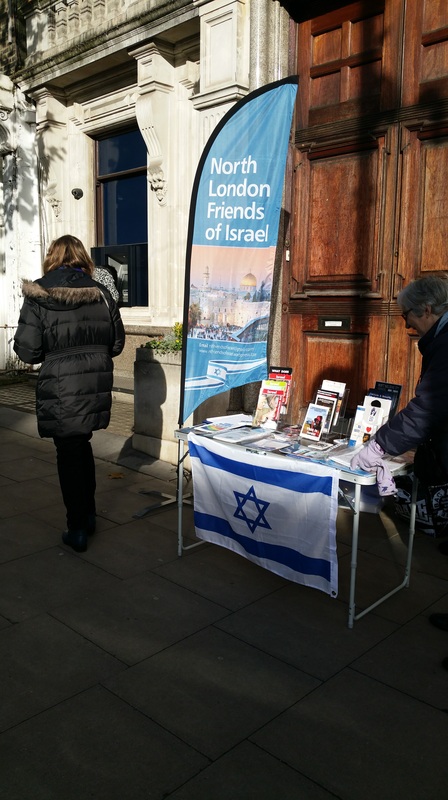 A group of pro-Israel activists, including North London Friends of Israel, were there to show the other side and to challenge the anti-Israel propaganda. 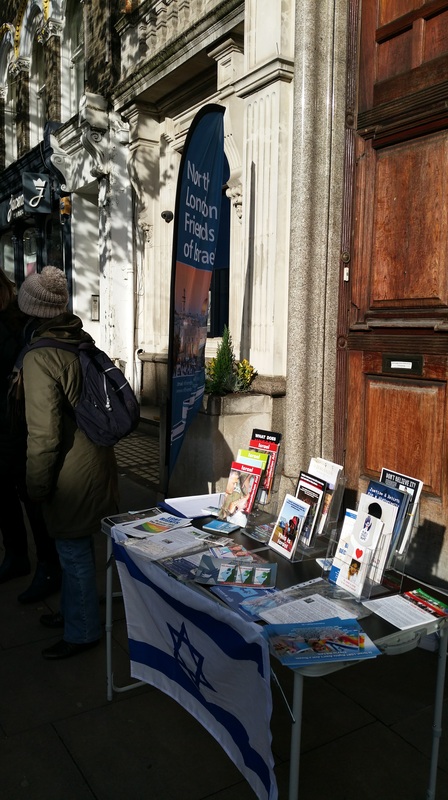 We got in front of the anti-Israel demo, and pretty much led it for most of its route, waving Israeli flags, singing Israeli songs and distributing leaflets to the public putting the positive case for Balfour. We were interviewed on several occasions by the media, so we will keep an eye out for that.